In the coming week, a very important meeting will be held between Formula 1, the FIA, and representatives from all 10 teams across the grid regarding the 2021 regulation changes. Numerous team bosses have threatened to quit the competition if the proposed changes to the regulations do not suit the team's plans. 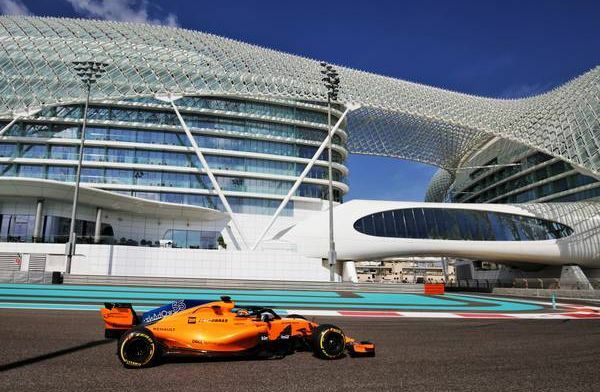 The latest one to do that is McLaren CEO Zak Brown, who picks out two crucial factors which will keep the British side in the competition: the financial side and the competitive side. "Once it is levelled, that should accelerate everyone's competitiveness," Brown told the Observer. "F1 has had dominant periods, but a great F1 is that no-one dominates any more. It might mean a team winning two championships on the trot, not five or six. "For McLaren, it has to tick two boxes: to be financially viable and to be able to fight fairly and competitively. If it wasn't that, we would seriously consider our position in 1. That's not a position we want to be in. "People throw it out there as a negotiating tactic but this has to be a fiscally responsible, competitive racing team, and if we feel the new rules don't put us in that situation, we would have to review our participation in F1. "Revenue distribution should be more balanced, should be performance-orientated. To a lesser degree than today there should be recognition for your history. We all agree Ferrari is the biggest name and should be remunerated as such but not at the level that it is and you also should not be able to put that money into racing. "I am optimistic that everyone will participate. There will be fireworks between now and then, it's negotiation but I am optimistic F1 will do the right things and sign up all 10 teams and we will have a much better, more competitive F1 from 2021 onwards." Hi views did you know there are spell to win love back from an ex. I have done it. I love reading about relationships and how to make them work, how to better the relationship, and how to keep the spark alive, even how to talk to them a certain way to get them to think a different way about the situation and you. If you need advice or want to win your ex back, try this: drdodotemple @ gmail .com or Him WHATSAPP +2348078351159, copy and message on the following (drdodotemple @ gmail .com ) will change your mentality and get you what you want.